In ML Candelario’s post “Good Art/ Bad Subjects”, he points out the difficulty one might have in appreciating the form of a piece while at the same time objecting to the exposure of the depressing and/or horrific content. He also questions the worth of subjecting oneself to the wonderfully made content if it makes one so…sad. Before I go on, I have to assume a few things. I believe when Candelario says “Bad subjects”, he doesn’t mean that they are subject-matters without merit. They are matters which distress or cause deeply rooted sadness to crop up. I believe that when Candelario questions “Is it worth it?” He’s not questioning the artist, but the viewer. He asks that every individual assess how much is too much and where to draw the line. 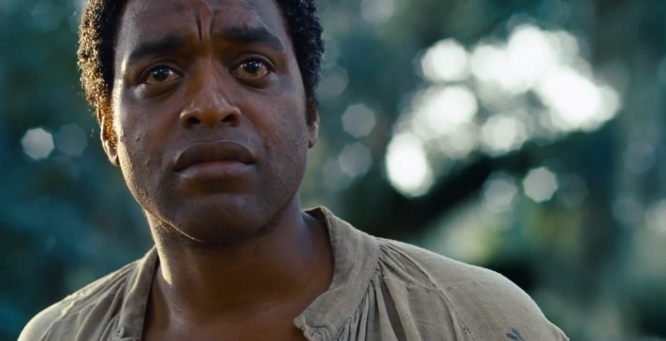 Let’s start with an example: 12 Years a Slave. Listen, I understand that people don’t want to pop in a depressing movie every day after working for 8 hours. Usually they want to unwind and forget about the worries you have or the problems that are left unsolved. Sometimes certain films, novels, plays contain content that could rouse up distressing memories or-I know, I know. I’m right there too. But I submit that value lies in making time to see these types of films even if the movie saddens you. These types of films challenge what, and how we think. They push us to see things differently, to picture different perspectives, to learn about ourselves and other people, to uncover what we’ve hidden within ourselves. They reveal what we have in common and what separates us from one another. Films like these resonate in our minds days after we watch. They’re important. They’re necessary. Avoiding an art piece merely because it will be too depressing is cowardly. Cowardly because the true reason for avoidance lies in the unwillingness to confront vulnerability. No. I’m not calling the masses to consume all depressing, challenging content for all their entertainment needs. I’m saying that “It’s going to be too depressing” is the wrong excuse. This entry was tagged art, artist, artists, artwork, author, create, creation, creative, creativity, critique, faith, film, god, movie, novel, opinion, philosophy, thoughts, Worship, write, writer, writing. Bookmark the permalink. WONDERFUL post, thanks for sharing! These heavy films can ultimately point us to God, even in their darkness. I love what you do! Keep them coming! Interesting response, and I agree that no movie/story should be avoided purely because it might be too depressing. We’d leave our range of movie potential severely limited, for one thing. Another point that I drew from Mr. Candelario’s post was the concept of rooting for the “bad guy.” Anti-heroes come to mind, such as Vin Diesel’s character Riddick, or the villains you love to hate such as pretty much anyone from Game of Thrones. I was also reminded of the movie Doubt, which is brilliantly acted by Meryl Streep and Phillip Seymour Hoffman. The movie is fantastic in the way it blatantly portrays an issue without every naming it outright, and the end is far from satisfying in a “happily ever after” sort of way. Either a child has been rescued from horrible abuse, or a loving man’s reputation and career have been destroyed by accusations, and there is no way to be sure of either possibility. I absolutely loved the movie, but it left me feeling twisted and uncertain. Funny that you speak of anti-heroes, the next post will be on the exact subject! Specifically Don Draper in Mad Men. Yeah, you know, not all of life is a bed of roses. Why can’t movies and stories reflect that? “Doubt” creates an uncertainty at the end that leaves us wondering what actually happened. Much of life is like that. It’s what makes it a good piece. I have no problem with people wanting to avoid sad movies. I just hope that it’s not a habit. Doubt is SUCH a good movie.